Only a stone’s throw from bars & shopping establishments. For up to 5 people. 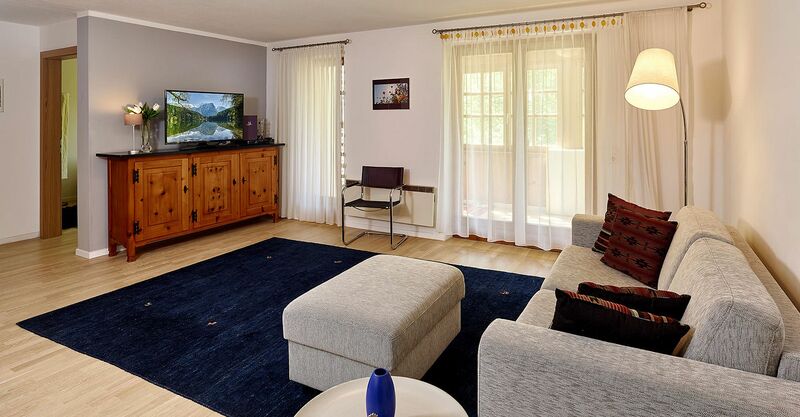 Enjoy your stay in the wonderful South Vorarlberg region in our “amahigen” (*Montafon dialect for “unique”) City Apartment. 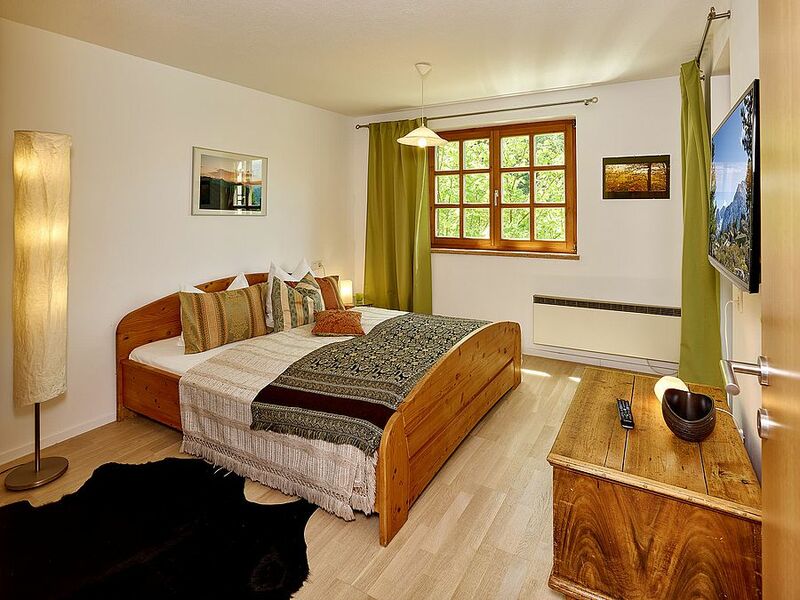 With its central location, you can reach the skiing area or the hiking routes and the après-ski bars on foot. Take a long bath after an exciting day, or make yourself comfortable in the beautiful conservatory – in our City Apartment, you have numerous possibilities. The perfect place of retreat! Whether in summer or winter – the City Apartment is the ideal holiday apartment for families or groups. 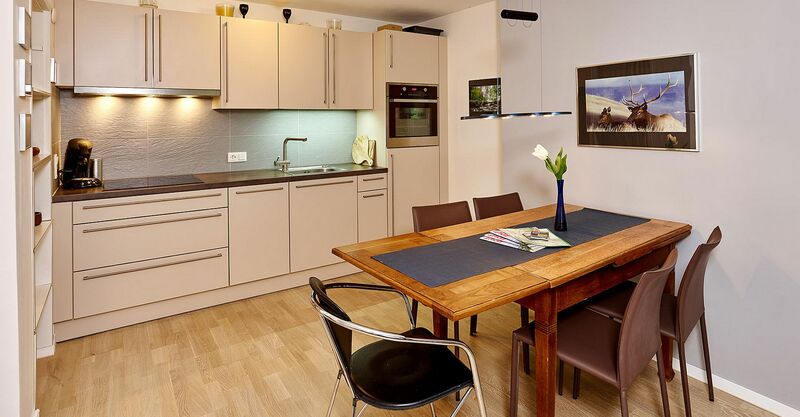 Enjoy the peace and calm of your City Apartment and the “invisible” hotel service incl. daily laundry changes. Thanks to the conservatory, you are also right in the middle of the Montafon natural landscape when you are not outside. Do you enjoy not having to use a car whilst you are on holiday? In that case, our City Apartment is just right for you. 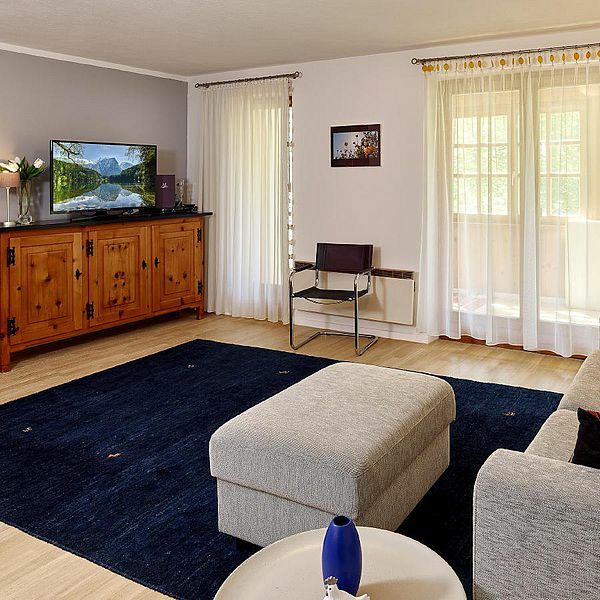 It is peacefully yet centrally located and you can reach the skiing area or the hiking trails, restaurants and bars on foot.